The Mustangs win their second straight regional championship with a 51-47 victory. 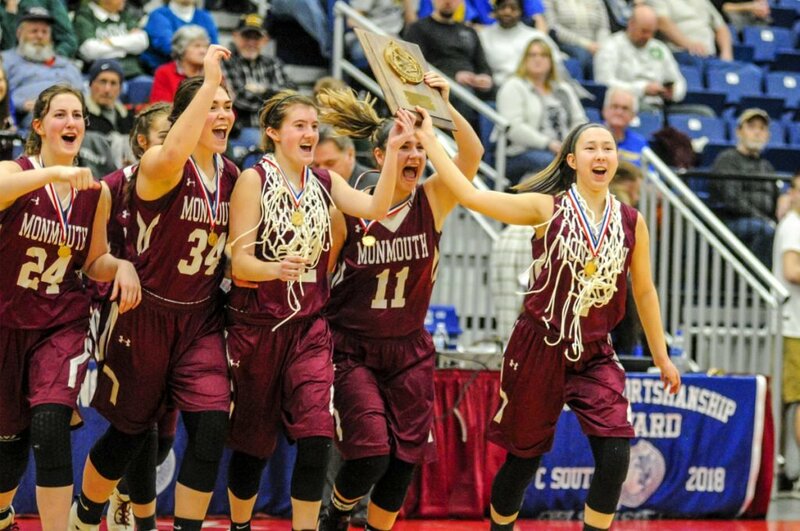 AUGUSTA — After a season of being overlooked and underappreciated, the Monmouth Academy girls’ basketball team reminded everybody of its pedigree. Tia Day scored 14 points as the second-seeded Mustangs (20-1) topped No. 1 Boothbay 51-47 for the Class C South championship Saturday night at the Augusta Civic Center. Kaeti Butterfield came off the bench to score 12 points and pull down 10 rebounds for the Mustangs (20-1), who will seek their second straight state championship next Saturday in Augusta against undefeated Houlton. For Boothbay (19-1), Faith Blethen scored 21 points despite being held out of the starting lineup because of illness. After Day hit a 3-pointer to give Monmouth the lead for good at 41-38 with 5:38 remaining, the Mustangs slowed their offense considerably. They forced the Seahawks to guard them the full length of the court, drawing them into fouls and extending the defense enough to get open shots inside.